by J.S. Hovnanian & Sons, Inc. Growing "old" is not on your to-do list. 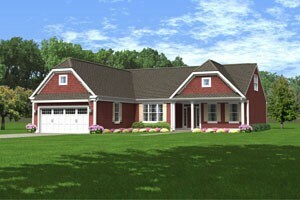 Roesville features ranch-style single family homes with must-have amenities for today's new generation of 55+ buyers. The 10,000+ sf. Lodge at Roesville offers indoor and outdoor pools, tennis, fitness center, multi-modal walking path and more! Directions Route 1 South to slight right onto Frederica Road. Right onto Front Street, Left onto Carpenter Bridge Road. Turn Right onto Roesville Road. Community is on the left.